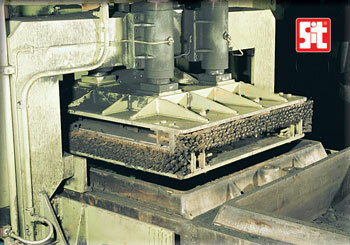 In the Foundry the problem of cleaning of the mould sand is one of the applications where the brush is fundamental. 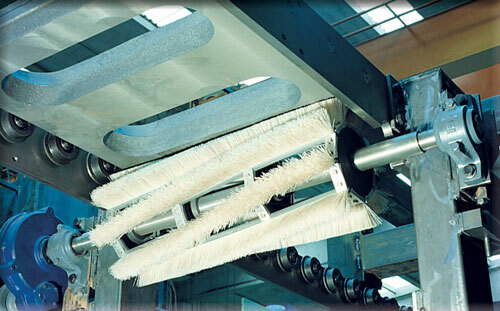 Cleaning immediately with brushes cleaning systems using products by SIT Tecnospazzole prevents very expensive maintenance operations or even machinery replacement. 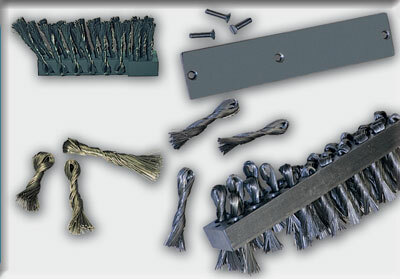 it is possible to use linear strip brushes where the brushing component is represented by high resistance hardened steel twist knots, the twist knots array is firmly fixed onto a steeled support properly shaped and profiled in accordance to the diverse types of brushing unit’s clips. The system assures an effectivand cleaning of the sides and angles of the Moulding Boxes using twist knots disposed on three rows and progressively on a slant in proximity of the edges. The brushing session can be done simultaneously during the clipping phase or later, by setting a proper working station up. 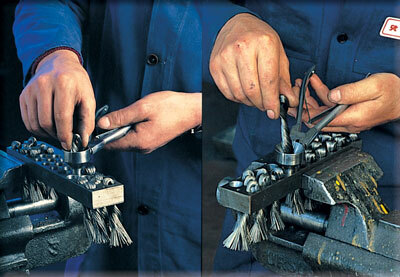 The brush’s maintenance can be done rapidly inside the foundry, replacing the worn out twist knots out of the support and inserting the new ones by the dedicated pliers supplied by us along with the brushing unit. Thand cleaning is performed with Linear Brushes mounting Twist Knot with very high resistance steel wire, the type of the moulding box always allows a rapid maintenance and replacement, also only of the worn out knots. The brushing of the balancing surfaces and of the carousels can be performed with a system using a translating brush or with a system using Rotating Brush. The translating brush system uses a linear brush with twisted knots secured to a mobile frame that performs a translating action on the higher part of the carousel that must be stopped, while the rotating brushes system cleans the carousel with a helical sectors brush mounted transversely and operating while the carousel is in movement. 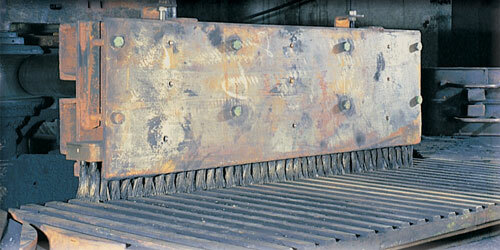 Find further information in the pages dedicated to Master Rollers and to Brushing Unit for Conveyor Belts! Also for the Perfect Cleaning of weights you can use Brushes of type UST that allow to optimize the work pressure given the specific cleaning needs. 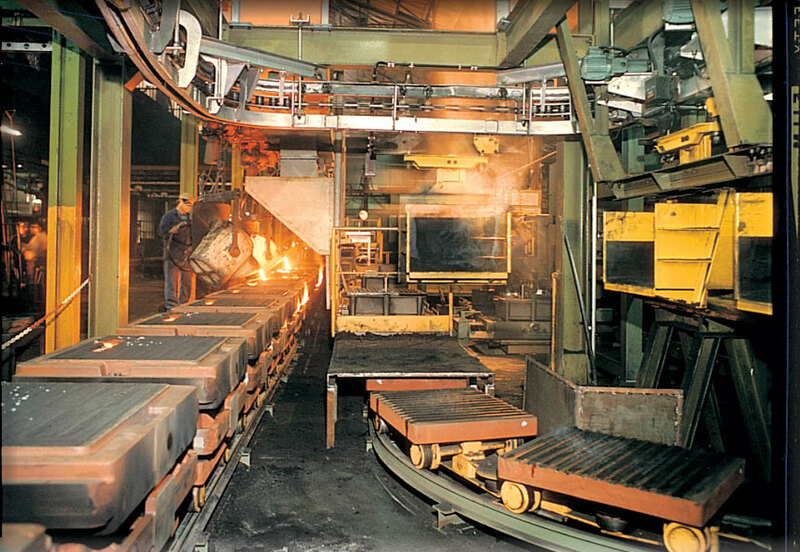 In the foundry industry conveyor belts are widely used to move moulds, carriages and products. 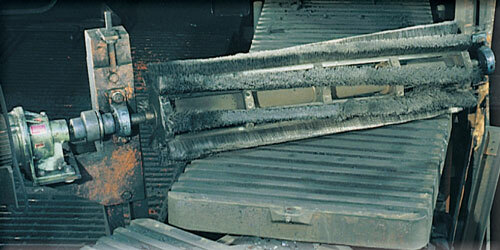 These must be brushed to keep dirt, dust and larger residues away from the gears of the machinery, as this would affect both quality and efficiency. 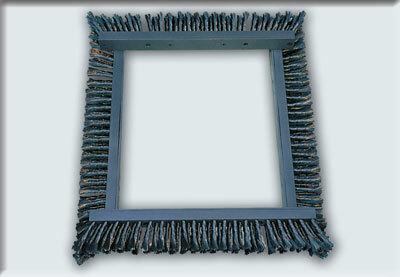 SIT brushes therefore allow in the long term to save on the maintenance costs an to maintain an overall better efficiency.